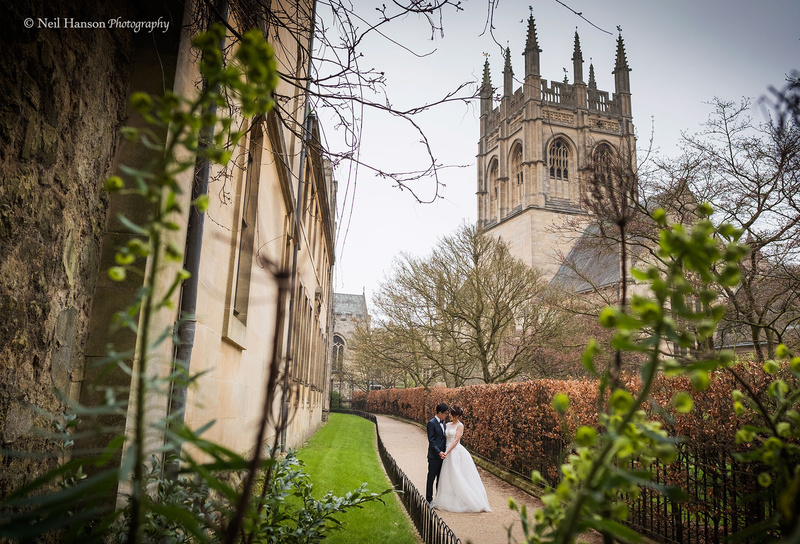 Neil Hanson Photography offers pre-wedding photo shoots in Oxford, The Cotswolds, Cambridge London, Cornwall and other areas of the UK and continental Europe. Pre-wedding or Engagment shoots are vary popular with engaged Chinese couples visiting the UK, who may have studied in the Oxford or Cambridge. Half, full or 2-day shoots available on request. All pre-wedding shoots include a full set of high resolution images ( jpeg format ) without watermarks. Digital downloads of images is available for overseas clients. I can also advise on sourcing your hair, make-up & accomodation in the Cotswolds if you wish. All pre-wedding or engagement shoots are tailored to include the locations of your choice and my local knowledge. "We enjoyed working with Neil very much. He is creative, passionate and professional with his camera, and considerate and helpful with us. We took a full day shooting in Oxford and the Cotswolds. Neil's knows both places well and put us in various beautiful sceneries - some are typical Oxford, others are more like 'secret sauce' of his and some lovely corners that we ran into along the way. The pictures are simply great and unique. When we look back at the pictures, it feels like they can 'talk' in a way that tells about the sun light, the babbling brooks, the happiness and sweetness that we share." Engaged couples who have already booked their Wedding Photography with me receive a complimentary pre-wedding shoot locally to West Oxfordshire, with the option of purcahsing the high resolution images following the shoot. Please contact me for my latest priclist & options.